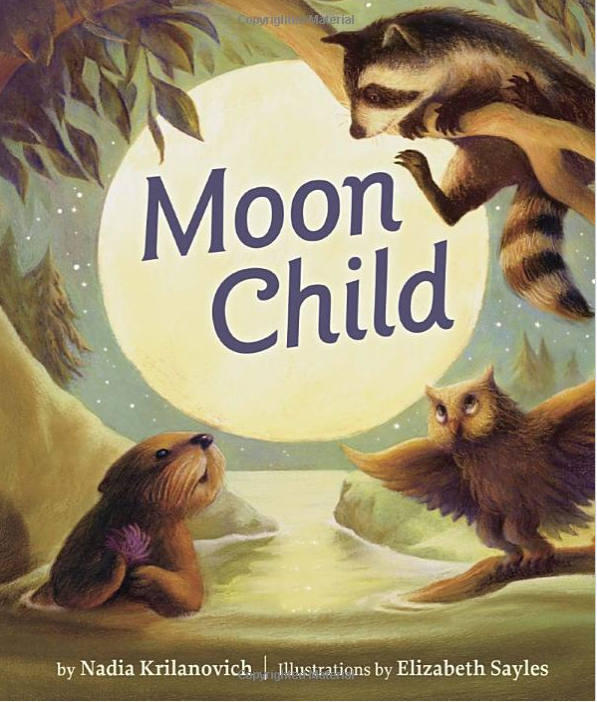 Elizabeth Sayles has illustrated more than 25 books for children including “Moon Child”; “Five Little Kittens” and; “I Already Know I Love You” by Billy Crystal which was a NY Times #1 best selling picture book. “The Goldfish Yawned”, a winner of the Bank Street College Best Children’s Book, 2005 (Henry Holt) is the first book that she wrote as well as illustrated. Her latest book is “Malala” which will be published Jan. 2016 by Random House/Step into Reading. She is also the co-author of “The Ghost Army of WWII: How One Top Secret Unit Deceived the Enemy with Inflatable Tanks, Sound Effects and Other Audacious Fakery” The book has now been optioned by Bradley Cooper and Andrew Lazar (American Sniper) as a major motion picture. It is about an Army unit that her father was in during WWII. 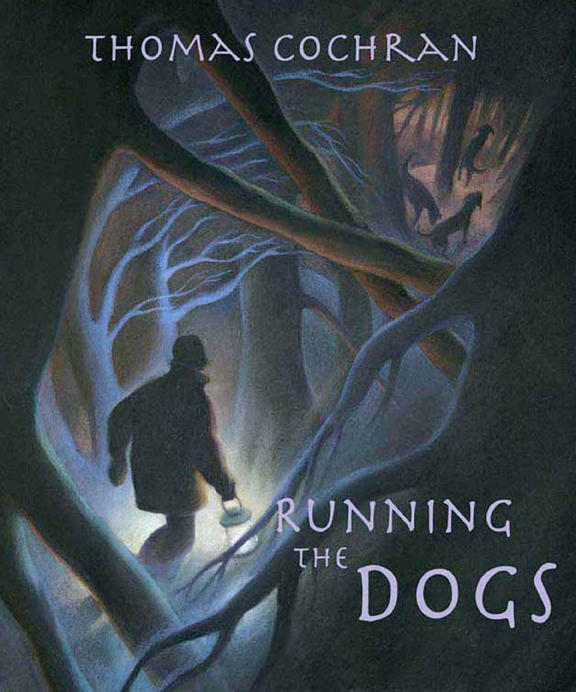 Her work has also appeared on book jackets and in projects for Lands’ End, Peaceable Kingdom Press, American Girl and Sony/BMG Music, among others. Her artwork has been on display in galleries and private collections across the country and at the Society of Illustrators in NYC, Museum of Comic & Cartoon Art also in NYC, The New York Public Library and The Columbus Museum of Art in Ohio. 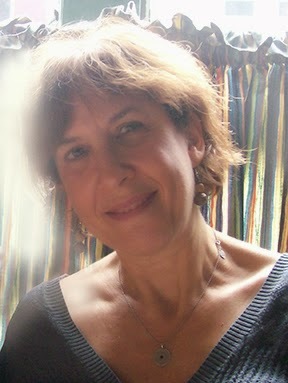 She is an adjunct professor at the School of Visual Arts in NYC and at the City University of New York/Queens College. She lives in the lower Hudson Valley with her husband and their daughter. I was asked by Random House to illustrate “The Very Little Princess” written by Dane Bauer. It is a chapter book about a girl who meets her grandmother for the first time and discovers a dollhouse in which a very special doll lives; a doll that comes to life and is very bossy. Together they manage to help each other through some rough times. The doll is about 3” tall in the story and the girl is about 8 years old, so I had to manage to fit them, plus part of the dollhouse into a 6 x 8’ space, and leave room for the title. Here is an early sketch. I didn’t like the composition and the doll is too old. I was inspired by Edgar Degas’ sculpture, The Little Dancer, for the pose of the doll. Here is the painting mostly finished. Painted it some more, added tassels to the bed overhang and then used pastel pencils. At this point I scanned the artwork in to Photoshop and did final color corrections and other details. Below are a few of Elizabeth’s book covers I found on the Internet. I began illustrating professionally somewhere around 1990. What was the first thing you painted where someone paid you for your work? When I was still doing graphic design I used to try to talk the client into using illustration… especially mine. I think the first was for a videocassette package for a film called Amor Bandido. They took a piece that was in my portfolio and used that. Around the same time I was designing a boxed set for A&E for a series called Dinosaur! Satrring Walter Cronkite and some animatronic dinos (I think). It took a lot of convincing but they finally let me do the illustrations for the whole series of videocassette packages. I majored in Illustration and Printmaking. I quit after 3 years because I wasn’t really getting what I wanted there. I took some classes at the Pennsylvania Academy of Fine Arts in Philly and then packed my bags and went to New York. There I took classes at the School of Visual Arts and The Arts Students League. No, not really. College exposed me to some new ideas, and to tools and craftsmanship. I left college without any kind of illustration portfolio, so when I moved to Brooklyn (before THAT was cool to do) I got a job at the information desk & book store at the Whitney Museum, along with a lot of other budding artists. Someone upstairs hired me to design some invitations and from that I began a graphic design career. I did a lot of work for the Whitney, and eventually video & music producers (like Arista Records and A&E) and magazine redesigns. Eventually I had to decide to continue that career when computers, desktop publishing and finally PhotoShop came on line. Also the stock market crashed (1989) and all clients pulled their jobs. I had been taking painting & illustration classes and with some encouragement from co-workers (and some who thought I was nuts) I made the decision to switch to Illustration. Have you seen your work change since you left school? Oh absolutely. Change or die as they say. I have become a much better artist, but I still love to look back at my old work to remember where the spark was. I like to see what I was thinking about. What was your first book you had published? No, not really. College exposed me to some new ideas. Did you do other types of illustrating before you got the book contract? I was doing a lot of editorial stuff, for magazines, but the book happened fairly early in my illustration career. You illustrated, I Already Know I Love You written by Billy Crystal. How did that contract come your way? Did Billy crystal see your illustrating work and ask for you? There was a packager who was putting it together: Byron Priess. He showed my work along with some other illustrators’ work to Billy Crystal and he chose mine. He told me later he really liked a painting I did of Alfred Hitchcock. Did you get to meet Billy Crystal? I met him after the book was finished, there were a few events we did together. Do you consider that book your biggest success? Not creatively or artistically, but it certainly sold well. It was a NY Times # picturebook and was No. 1 on Amazon for a few weeks. Do you illustrate full time? Yes and I also teach at the School of Visual Arts in NYC and at Queens College, NYC. Do you have any desire to write and illustrate your own picture book? I have written & illustrated one book: The Goldfish Yawned, published by Henry Holt. Have you ever thought about doing a wordless picture book? How and when did you and Merial Cornell at Cornell & Company, LLC connect? How long have you been working together? I always did my own promotion, but after my daughter was born and I moved out of NYC I needed someone to help me get work. I had a lot of clients and was working with most of the publishing houses, but Merial helped manage things and also get new clients. I guess it’s been about 19 years. I Use Acrylic paint mixed with Golden Acrylic Pastel medium or Pumice Gel, and then add Pastel on top. Yes, I use it to clean up sketches, and adjust them, and the same with the final art. Yes, I use a spare bedroom. Is there anything in your studio, other than paint and brushes that you couldn’t live without? Not sure what kind of routine you mean. I try to stay in touch with people in the business, and I be aware of what’s going on. I just finished a book about Malala for Random House, and some other projects that I can’t talk about right now. Do you think the Internet has opened any doors for you? I would like to paint full time and show in galleries. And finish writing a book series I’m working on. Try new things all the time. Try different papers, boards, paint companies, etc. My favorite paint brand is Golden paints. They make terrific products right here in NY State. And I just discovered wood panels by Ampersand… love them. Do what you enjoy, not what you think will get you a gig or is trendy because those things will change. You have to love what you’re doing because sometimes it’s a slog. Write your own stuff if you can, it’s much more fun to illustrate. And don’t give up your life for your art. If you have a minute, please leave a comment for Elizabeth. I am sure she’d love it and I enjoy reading them, too. Thanks! I loved seeing how Degas’ sculpture inspired the illustrations. So well done! Beautiful work, Elizabeth! So glad to read about you here. I enjoyed seeing and hearing about the creation of your rich and textural art! Great Interview. As an illustrator myself, I appreciate your comment: Don’t give up your life for your Art. What many of us do!